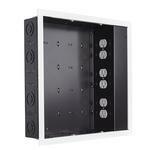 The PAC526FBP6 from Chief is black a In-wall storage Box with 6 Receptacle Outlets with Filter & Surge Protection. 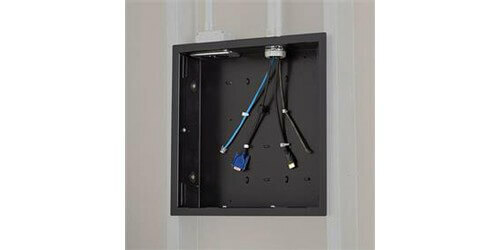 Designed for use with flat panel display installations to provide an organized, recessed space for routing excess cables. 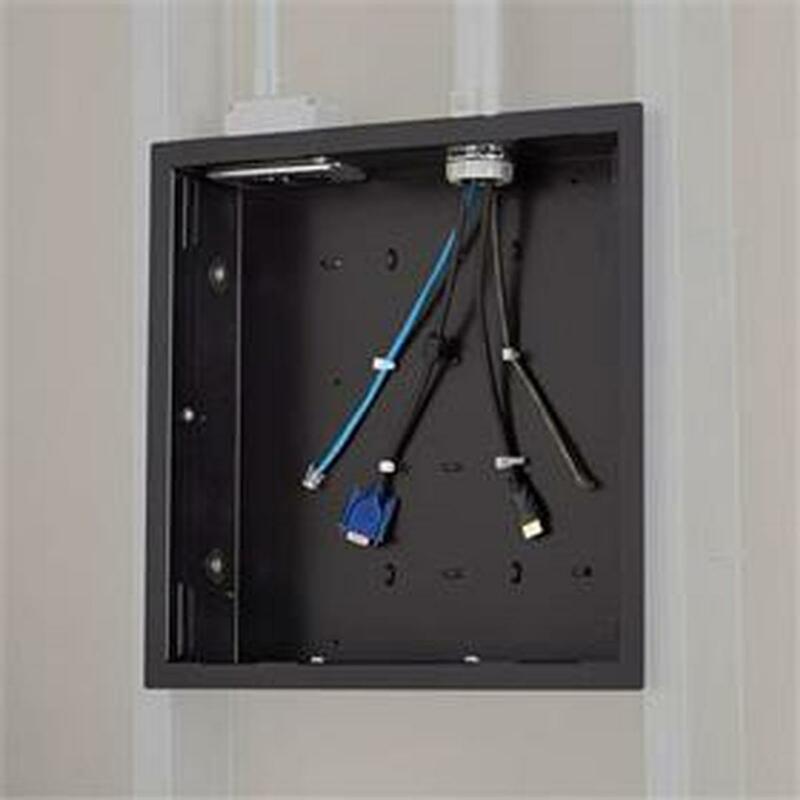 The primary use of this unit is to improve the reliability and functionality of connected equipment by safeguarding the equipment from high energy transients, lightning strikes and electronic noise events that can cause gear degradation and downtime, and took keep excess cables secure and organized through an integrated universal zip tie anchor points. 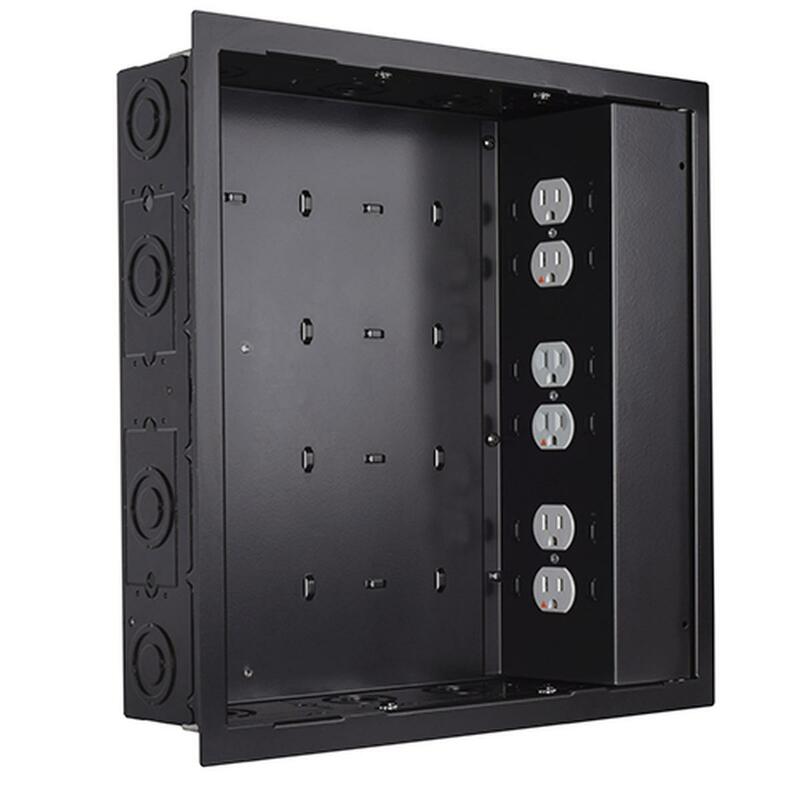 This In-wall storage box includes a high-performance, dual gang housing, isolated ground, dual receptacle outlet featuring SurgeX non-sacrificial multi-stage filtration and surge protection system. 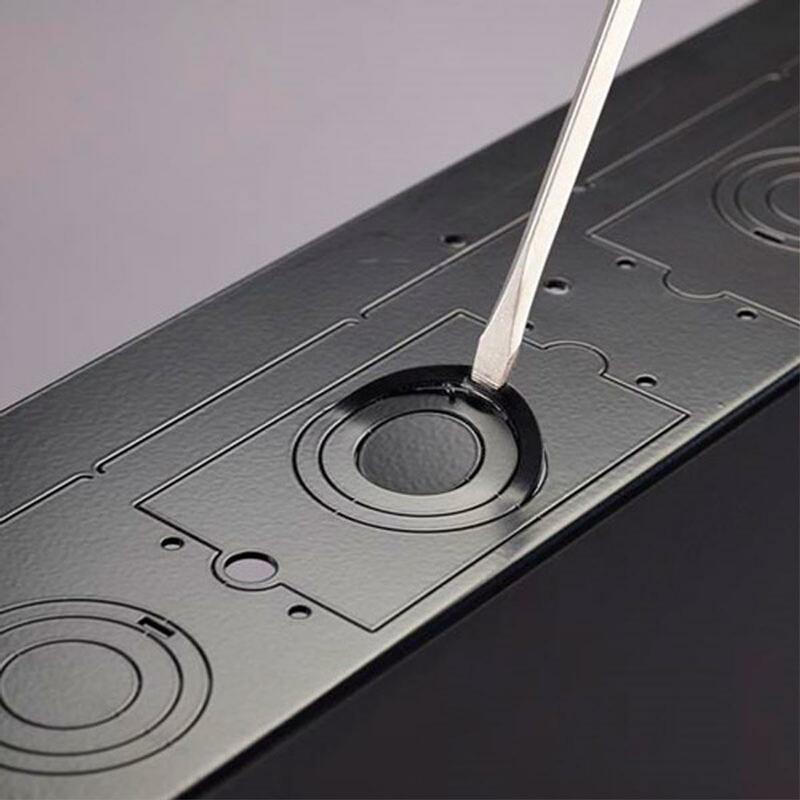 This works by protecting equipment from disruptive high frequency noise and damage caused by power disturbances. 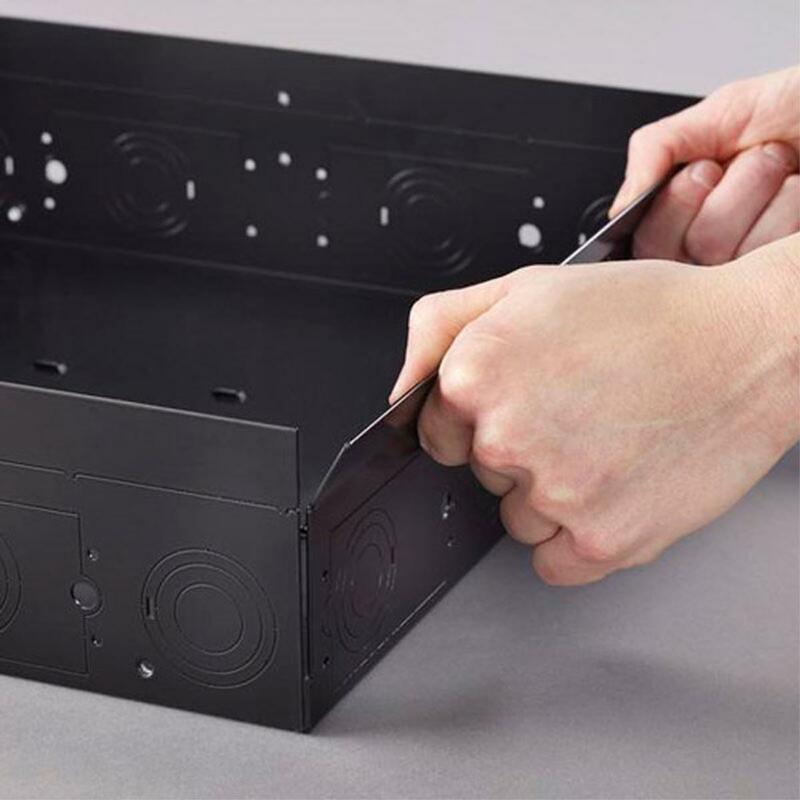 In addition to being drywall mountable and maintaining a very sleek recessed look, this storage box is also stud mountable and can be orientated in either landscape or portrait mode. 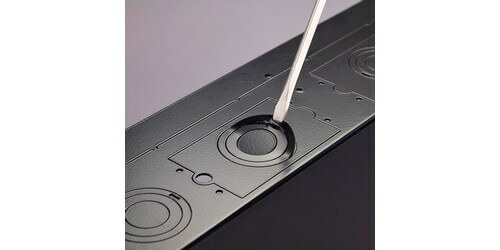 A paintable flange on the front adds a nice aesthetic appearance to blend into any environment. This device also features a non-current limiting design that passes full power on a regular circuit; redundant protection circuits. 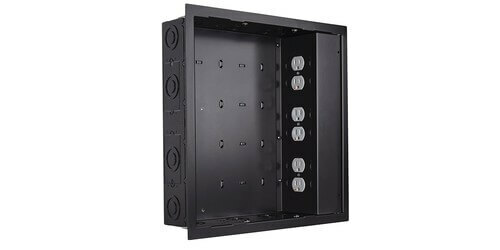 The PAC526FBP6 In-wall storage box is compatible for use with an array of chief wall mounts to include PST, PRO, PLP, MSR, MTR, MWH, MWR, PWR, PNR, PDR, Thinstall, and FUSION mounts. Comes backed by a 10 year warranty.